M81, or Bode’s Galaxy, is a large spiral galaxy in the constellation Ursa Major. 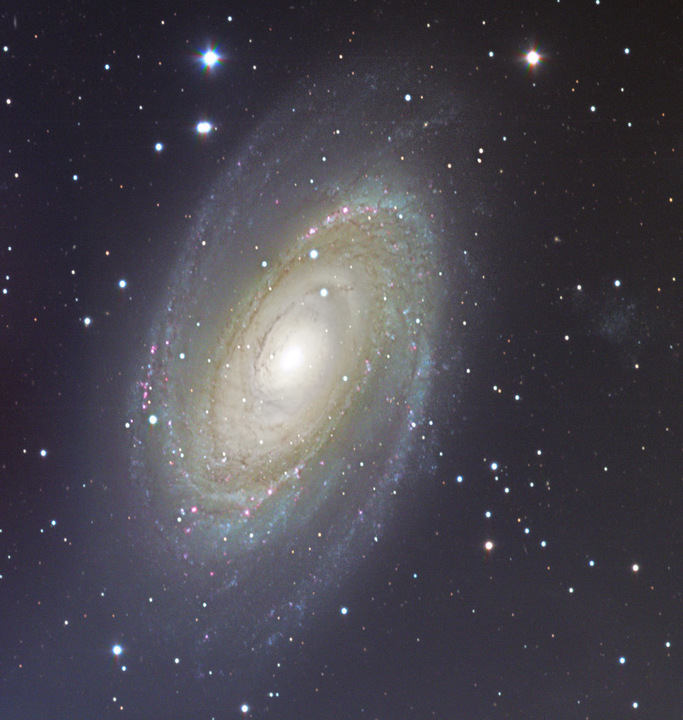 M81 is interacting gravitationally with a smaller neighboring galaxy, M82. Each galaxy is siphoning material off of the other.